The Court of Appeal has recently upheld Coulson J’s judgment in Grove Developments Limited v S&T (UK) Limited  EWCA Civ 2448, confirming that an employer is entitled to refer to adjudication a dispute over the true value of a contractor’s interim payment application despite failing to serve a valid pay less notice. However, the Court also stressed that this entitlement to adjudication could only be exercised after the employer paid the sum due in the interim payment application. Grove engaged S&T to design and build a hotel at Heathrow for a contract sum of just over £26 million. Under that contract, S&T would periodically send interim applications for payment. The present litigation concerned interim application 22. Interim payment application 22 greatly exceeded Grove’s valuation of the work. As a result, Grove chose to withhold payment. Although they failed to send a payment notice in time, they relied on a pay less notice they had sent to S&T. In a subsequent adjudication, however, it was determined by the adjudicator that Grove’s pay less notice was invalid. This meant that S&T were entitled to be paid the full sum on the interim application for payment. Grove then pursued litigation in the TCC. By a Part 8 claim, it sought declarations to the effect that its pay less notice was valid and that it was entitled to pursue an adjudication as to the true value of the interim payment application. Coulson J granted the declarations and held that the contractor was not entitled to the interim payment of £14 million. The present case concerns an appeal of Coulson J’s decision. The key issue was whether an employer was entitled to commence a separate adjudication to determine the true value of S&T’s interim payment application if its pay less notice was invalid. The Court of Appeal upheld the decision of Coulson J and dismissed the appeal. Crucially, on the issue of whether there could be an adjudication for the true value of the interim payment application, it held that an employer was entitled to commence an adjudication to determine the true value of the interim application, even having failed to serve a valid payment or pay less notice. Determining the value of the work done was prima facie within the powers of the adjudicator and did not require express provision in the Act. No express provision exists for a contractor to challenge an employer’s payment notice or pay less notice in adjudication, yet it is presupposed that the power exists by virtue of section 111(8). The same should be true for adjudicating the true value of a payment application. The operation of section 111 HGRA upon a valid interim application, payment notice or pay less notice did not provide a true valuation of the work done. Its purpose was to provide cash flow, not a valuation. Either party could therefore challenge the correctness of the notified sums by adjudication. 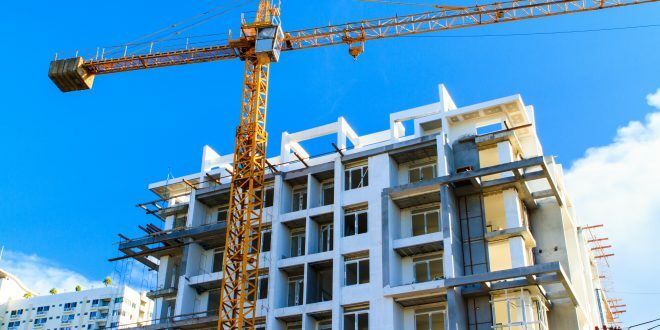 In Grove there were 18 days before a pay less notice had to be issued in response to the payment application, while under the Construction Scheme, the default period is 10 days. 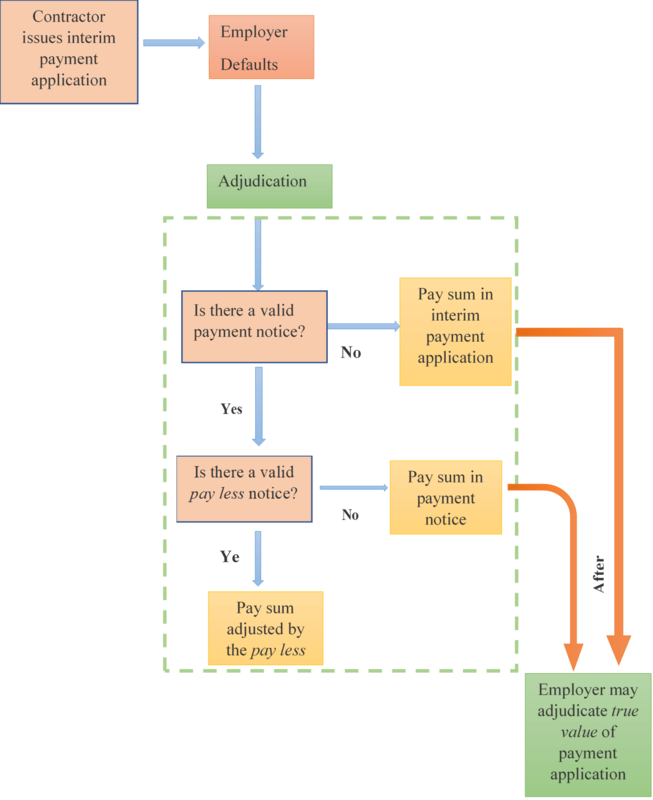 Such a short time period indicates that the mechanism is intended to provide a provisional figure for immediate payment, not a figure that is intended to be an accurate reflection of a complex valuation process. Grove confirms that the employer is entitled to embark on a true value adjudication, even in the absence of a payment or pay less notice. This greatly reduces the benefits of so-called ‘smash and grab’ adjudications, as any over payments that are made will be returned to the employer in a subsequent adjudication. However, the Court of Appeal’s decision is a double-edged sword for employers. 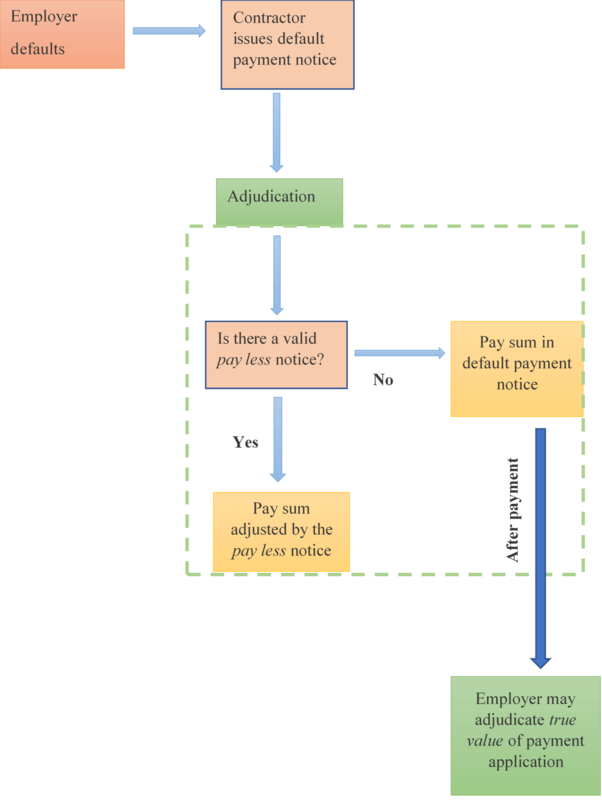 While the employer is entitled to an adjudication on the true value of an interim payment application, it can only exercise such a right after it has made the required payment under the application. The practical consequence of this is that a true value adjudication cannot be commenced whenever, effectively preventing it from being used as a mechanism to stall or withhold interim payment. This may be highly disadvantageous where the employer lacks adequate protection against a contractor’s insolvency. The employer will be obligated to make payment, but it may not see the return of its money if it subsequently succeeds in a true value adjudication. In such circumstances the burden of risk of the contractor’s insolvency is shifted onto the employer in instances where the value of works is disputed.